Philadelphia based, multi-instrumentalist and contemporary electronic artist Laurent Bass has been a forerunner in the electronic beats and jazz scene. 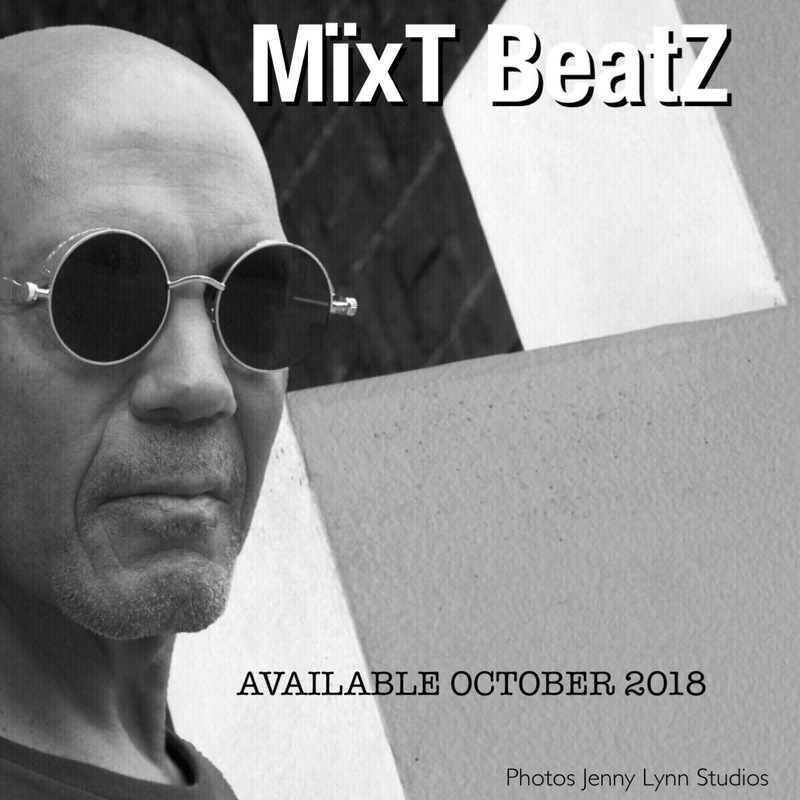 MïxT BeatZ Project is a collection of original compositions that exposes the rich originality and style of Laurent’s multi-textural electro-acoustic creations. Look for the EP on Amazon, Itunes, Spotify this October. All tracks composed and produced by Laurent Bass. Electronics, soprano saxophone, harmonica, keyboard by Laurent Bass. Born to music and jazz loving parents and trained as a multi-instrumentalist, music has always been a part of Laurent’s life. His own playing is influenced from a wide variety of great musicians, from Sony Rollins, John Coltrane, Miles Davis, Stanley Turrentine, Wayne Shorter to Herbie Hancock, Nils Petter Molvær, Thievery Corporation, Pat Metheny, Nile Rodgers, among others. As an artist, composer and producer, he has been trained and mentored by some recognized as true innovators in contemporary electronic and jazz genres. Laurent has shared the stage and collaborated with a variety of talents. He has performed at major music venues on the East Coast including the Kimmel Center, The Mellon Jazz Festival, Penn’s Landing Music Festival, World Café Live, The Painted Bride in Philadelphia, The Bethlehem Music Festival, the Annual SoNoArts Celebration, and at some European events. ­­­­­­­­­­­­­­­­­­­­­­Join us to kick off our fall music season! We’re grateful for the opportunity to return and perform at some of our favorite venues and look forward to seeing you at our live performances. September 10, Mélange Jazz Duet, Laurent Bass and Bert Harris, Sassafras Bar & Restaurant, Old City 6:30pm-9:30pm. September 14, Mélange Jazz Collective Trio, Betsy Ross House, with Laurent Bass on saxophone, Bert Harris on bass, Robert Morales on conga drums. 5:00pm- 8:00pm, Little Rebel Beer Garden series presented by Devil’s Den Philadelphia. September 16, Mélange Jazz Collective Quartet, featuring saxophonist Laurent Bass, bassist Bert Harris, guitarist Steve Strawitz, drummer Jeffrey Johnson. Sunday Jazz Brunch, Manayunk Brewery Restaurant, 4120 Main Street, Manayunk, 10:30am– 2:30pm. September 17, Mélange Jazz Duet, Laurent Bass and Bert Harris, Sassafras Bar & Restaurant, Old City 6:30pm-9:30pm. September 21, Mélange Jazz Collective Trio, Bert Harris, upright bass; Laurent Bass, tenor saxophone; Robert Morales, conga drums. Table + Tavern Whole Foods Market, Wynnewood, 6:30pm-8:30pm. September 22, Mélange Jazz Collective Quartet, featuring saxophonist Laurent Bass, bassist Bert Harris, keyboardist David Dzubinski, drummer Jeff Johnson. Jazz at The Wyndham, Wyndham Hotel, M1111 Route 73, Mount Laurel, NJ 08054, 9pm-10pm. September 24, Mélange Jazz Duet, Laurent Bass and Bert Harris, Sassafras Bar & Restaurant, Old City 6:30pm-9:30pm. September 27, Mélange Jazz Collective Trio, with saxophonist Laurent Bass, keyboardist Walter Runge, bassist Bert Harris, ‘Cars & Cigars 2018′, private event, The Capital Grille, King of Prussia. October 5, Mélange Jazz Collective Trio, featuring saxophonist Laurent Bass, bassist Bert Harris, keyboardist David Dzubinsky, DesignPhiladelphia 2018, Bulthaup Studio + LEMA Studio Open House, Bulthaup Studio celebrating 21 years of inspired design in Old City + LEMA Studio Flagship Showroom, 132 N 3d Street, 6:00pm-9:00pm. October 8, Mélange Jazz Duet, Laurent Bass and Bert Harris, Sassafras Bar & Restaurant, Old City 6:30pm-9:30pm. October 14, Mélange Jazz Collective Trio, featuring saxophonist Laurent Bass, bassist Bert Harris, guitarist Steve Strawitz. Sunday Jazz Brunch, Manayunk Brewery Restaurant, 4120 Main Street, Manayunk, 10:30am– 2:30pm. October 15, Mélange Jazz Duet, Laurent Bass and Bert Harris, Sassafras Bar & Restaurant, Old City 6:30pm-9:30pm. October 22, Mélange Jazz Duet, Laurent Bass and Bert Harris, Sassafras Bar & Restaurant, Old City 6:30pm-9:30pm. October 26, Laurent Bass with Bert Harris Trio, Paris Wine Bar, 2301 Fairmount Avenue, Philadelphia, 9:00pm-12:00am. October 29, Mélange Jazz Duet, Laurent Bass and Bert Harris, Sassafras Bar & Restaurant, Old City 6:30pm-9:30pm.